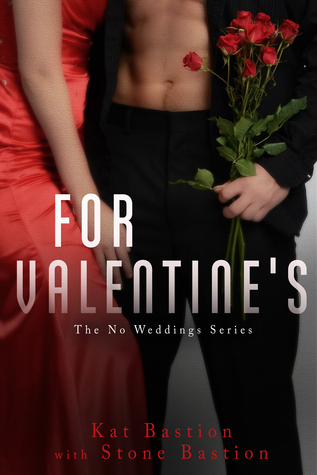 Thank you, Tamie and Bookish Temptations for sharing an exclusive outtake teaser in Cade’s point of view that leads into the bonus scene included only in pre-order and release-day digital copies of For Valentine’s. Breathless, she stared up at me, chest heaving in shortened rhythm. “You have me pinned to a dirty building, in broad daylight,” she whispered, wide-eyed. Traffic buzzed behind us, but the engines and horns were all muted background to the blood rushing in my ears. A faint shudder quaked through her body. Her breath caught. When I eased away, she gazed up at me with adoration and wonder. But even though amusement sparked in her dilated eyes, she swallowed hard, as if she recognized my barely held restraint. Kat and Stone have generously offered a signed paperback giveaway. Just leave a comment to enter. Giveaway will run through January 10th. It’s International, and as always there is no purchase necessary. We hope you enjoyed this glimpse of Cade and Hannah. Experience the rest of their romantic weekend adventure in For Valentine’s. This entry was posted in Adult Romance, Books, Favorite Authors, Kat and Stone Bastion, Outtake, Teaser and tagged Adult Romance, Books, favorite authors, Kat and Stone Bastion, Outtake, teaser. OMG Tamie I just got the ARC copy on this last week but had not been able to check my emails since then. I had received all of them as an ARC and have to say this is one of my favorite series. Right up there with the Crossfire Series and Fifty Shades of Grey. Can’t wait to start reading it tonight! Oh, wow. Nickie, we are honored you love the series so much. We hope you enjoy For Valentine’s. Happy reading! This is such a great series! Thanks for the giveaway! Such a yummy teaser scene! Thanks for the chance to win! This is a fantastic series. I’m dying to win this book! It would complete my signed collection!!! Thanks for the chance.